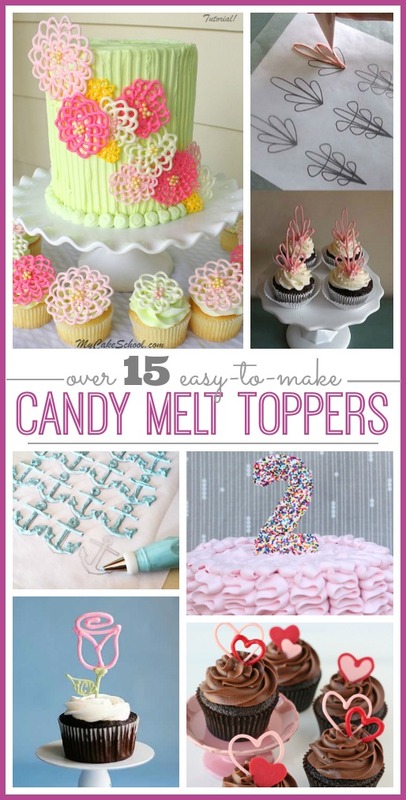 I made some simple candy melt toppers the other day – so simple, that I didn’t even think about blogging them. I snapped a couple of pics on my phone to share on Instagram, but that was it. But those posts were a hit, so I thought I’d do a quick post here on the blog. And then I have a bunch of other ideas from around the web down below! I loved trying this technique – I’d never done it before and I’m wondering where it’s been all my life! 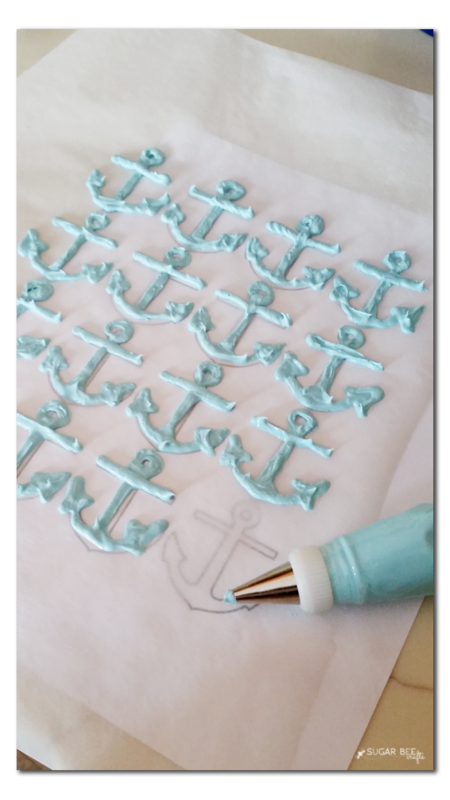 I simply printed out some anchors to trace, then put parchment paper over the printout, then piped on the candy melt, using that template as a guide. Then after they were dry, they peeled right up and I stuck them on the top of cupcakes. 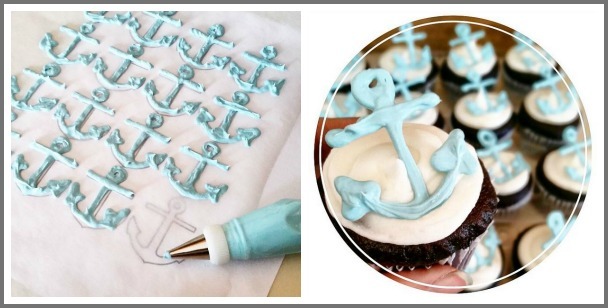 Super simple way to make store-bought cupcakes have a personal touch. Win win! Scroll through all these awesome ideas! 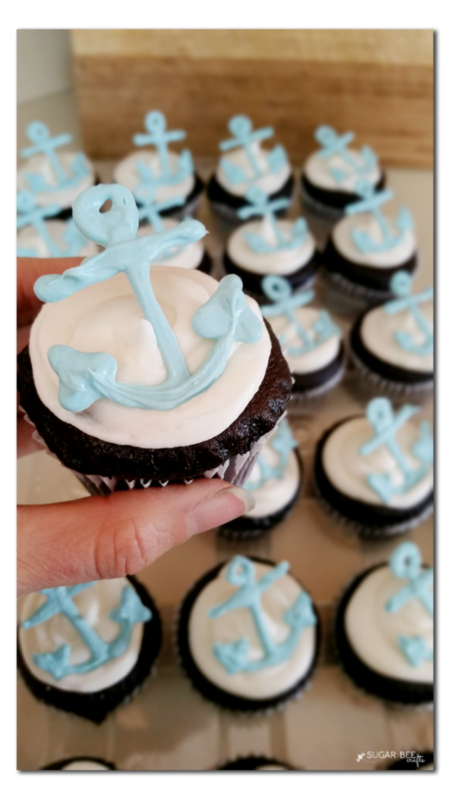 I would like to do the anchors for my sisters baby shower but cant find the link to print the page of anchors. Can you please send me the link? sorry, I don’t have that – I just found an anchor image online and printed a bunch on a page – I should have thought to save the file! 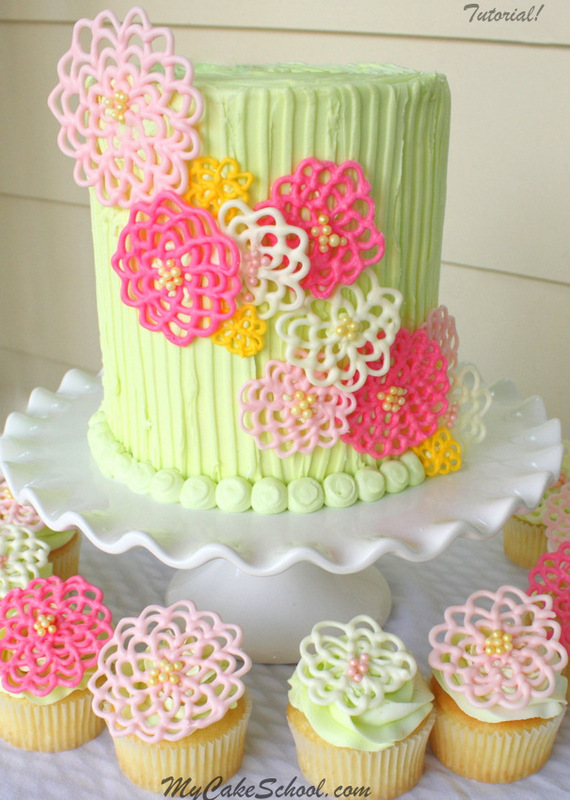 Could you do these before hand and freeze them? 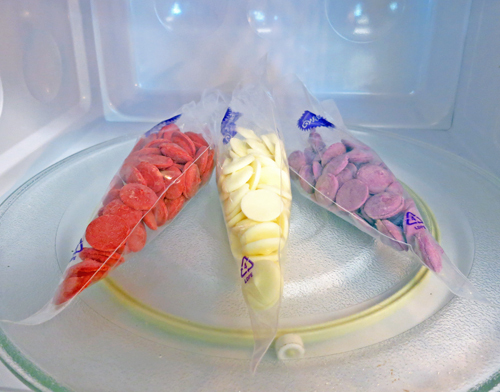 If so how long can they be frozen?